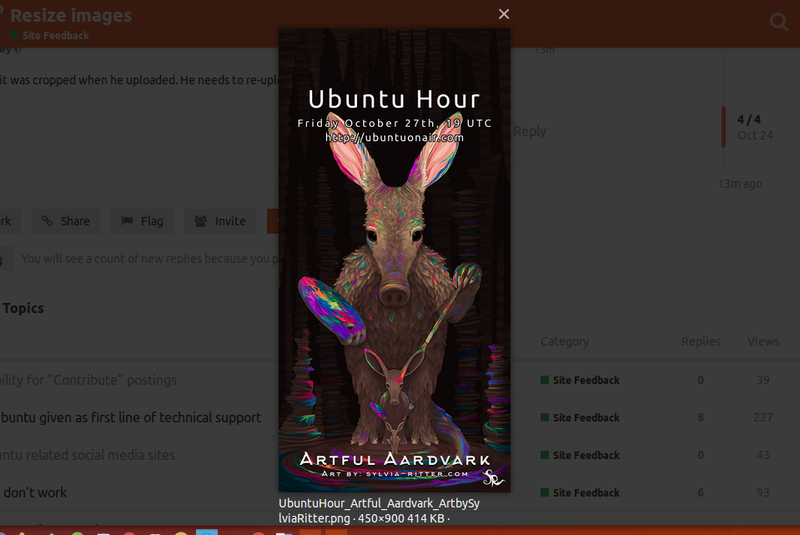 I’m trying to post the invitation poster for the Ubuntu Hour that Sylvia Ritter prepared. But it always gets resized, it doesn’t matter the dimensions I set on the source of the post. I want the full image to be shown, because her credits are on the bottom. 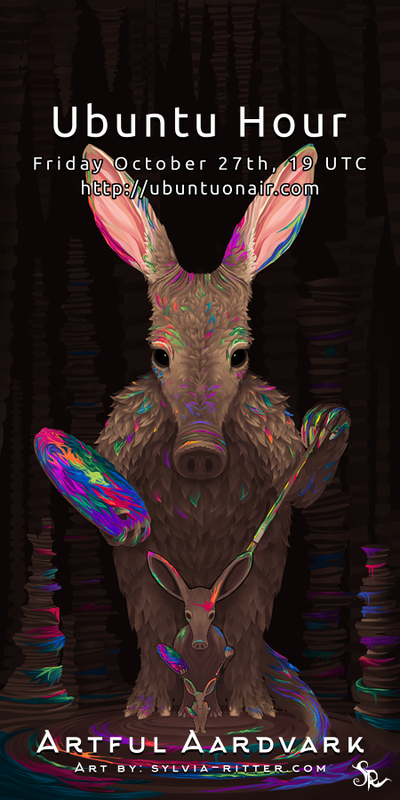 The unlucky default for the size shows only the top of the image, missing the nice details of the two smaller aardvarks, and the very important footer. Can we allow to overwrite the dimensions? I don’t want to make it wider, just taller, so it shouldn’t affect the layout on smaller screens. Done. It should work now. It is not though. In this thread. Tried ctrl + F5, no change. No, it was cropped when he uploaded. He needs to re-upload whereupon it won’t be cropped. Thank you @popey! It works now.